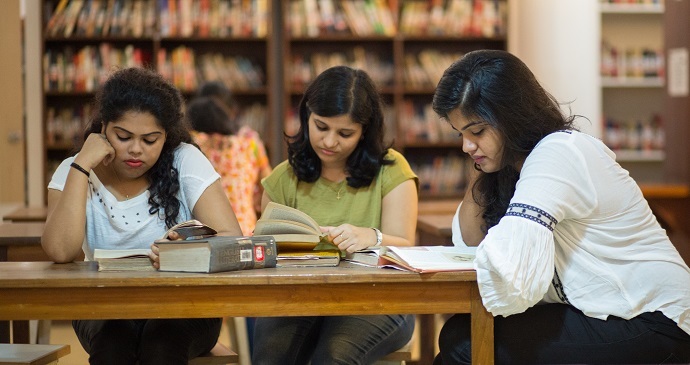 The College library is the key resource of information for the academic community. 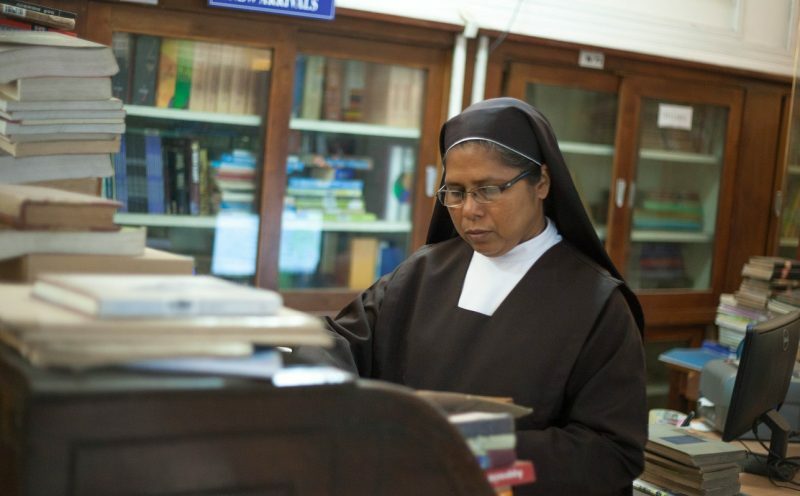 It was established along with the College in 1925 and was named the “Mother Veronica Library” in fond memory of Mother Veronica, the Superior General of the Congregation. The present library was built to commemorate the Golden Jubilee of the College in 1975 and was formally inaugurated in1981. Stock room with lending section. Special sections are maintained for Career guidance, Value education, Gandhian studies and Kerala history. Computer database and Internet facilities are also available. At present there are 1,00,004 books and 200 journals and magazines in the library. For convenience, Department Libraries for Science subjects are maintained in the Science Block. A general library wing also functions in the Science Block. A library Committee that includes the representatives of Teachers and students help to direct the library services.